At IMD he directed the Advanced Strategic Management from 2009-2014. He has directed programs for senior executives in several industries and continents. Prior to joining IMD, Professor Bris was the Robert B & Candice J. Haas Associate Professor of Corporate Finance at the Yale School of Management (USA). A Research Associate of the European Corporate Governance Institute, and a member of the Yale International Institute for Corporate Governance, he has worked extensively on issues of Corporate Governance, Financial Regulation, and International Valuation. Arturo is passionate about global competitiveness, financial development and macroeconomics. His latest research identifies the relationship between income inequality, social mobility and competitiveness. He is also developing a competitiveness-based investment portfolio that track the best and worst economies. Professor Bris taught Corporate Finance and Investment Banking at Yale from 1998 to 2005, where he received the Best Teacher Award twice. His consulting experience includes companies in both the US and Europe. 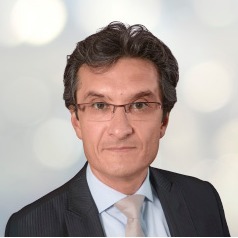 He is the President of the Board of Trustees of IMD Pension Foundation, and a member of the Supervisory Board of the International School of Lausanne. He is a frequent speaker in international conferences, and appears regularly on international media outlets. Professor Arturo Bris ranks among the top one hundred most-read finance academics in the world. He graduated in Law and Economics from Universidad Autónoma de Madrid, and received an MSc from CEMFI (Foundation of the Bank of Spain). He holds a PhD in Management from INSEAD. He enjoys reading, road- and mountain-biking, and playing bass guitar.